When you use Aquadoodle Classic Mat, it never makes a mess and never runs out. Draw and doodle as much as you want using only water. Your drawing will magically disappear as it dries. Creativity has never been this clean. 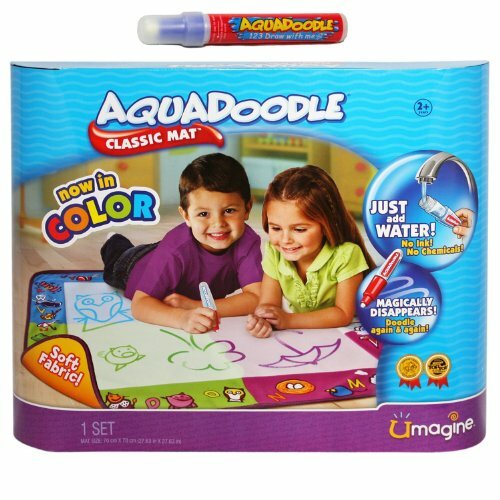 When you use Aquadoodle Classic Mat, it never makes a mess and never runs out. Draw and doodle as much as you want using only water. Your drawing will magically disappear as it dries. 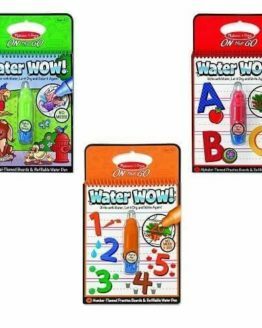 Aquadoodle turns water into color, so you can doodle in red, blue, green, and purple. With fabric boarders for soft play, you can let your child’s imagination run free with the never ending, no mess fun of Aquadoodle Classic Mat. 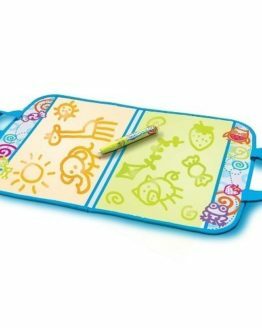 The Aquadoodle Classic Mat is a parent’s dream come true. 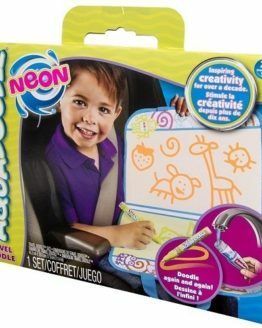 No more stains, messes, or shocking surprises when you step away from your children coloring and drawing on the ground. 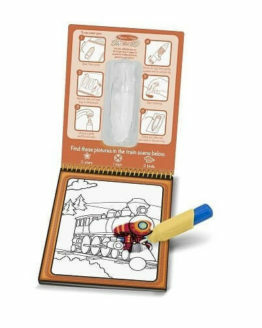 Children will love the creative freedom they’ve got to be able to draw and color anywhere with anyone, and they don’t have to worry about what they’re doing. 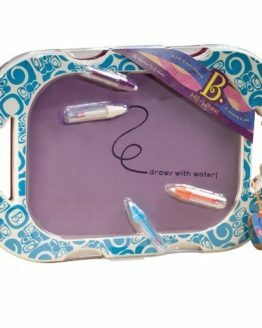 And even sweeter is the BONUS PEN with Cap so that two children can draw and color can play together and you’ve got a spare right off the bat when your first Aquadoodle pen disappears. Also, the cap, will help keep your pen from drying out between play. 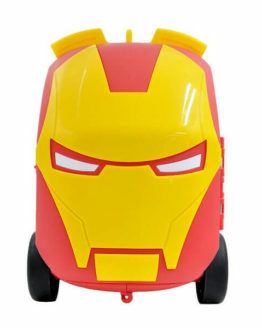 Once your child gets used to this drawing may, they’ll always be asking for it. And as long as you’re near a sink or a bottle of water, you’ll be their hero! What size is the drawing area and does it have a hard backing? 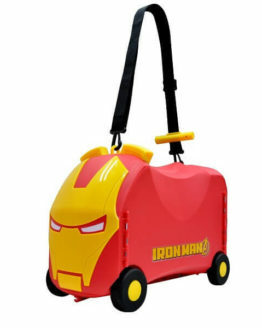 A: It opens up to about 28″ x 28″. It is made of soft fabric.